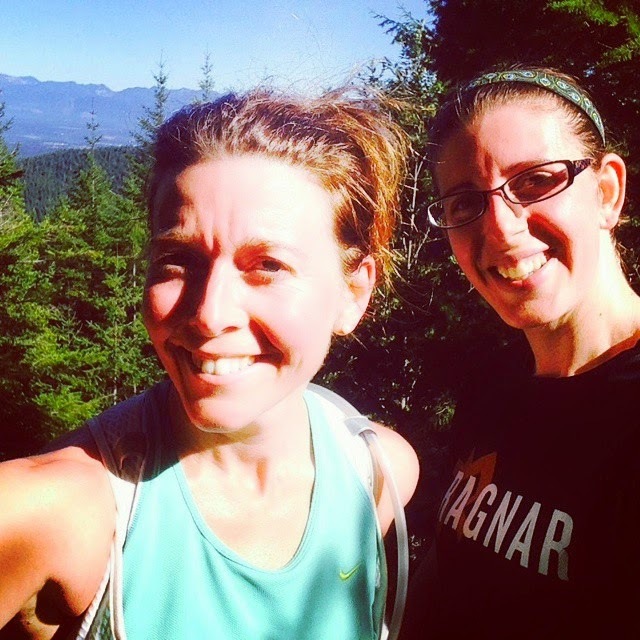 Before I start this post, I have to rewind a bit to April of 2012, when I joined my friend Stacey for my first ever run with the High Heels Running Group at Cougar. The trails were pretty hard for me then (and who am I kidding, they are still hard!) but we had a lot of fun that day! 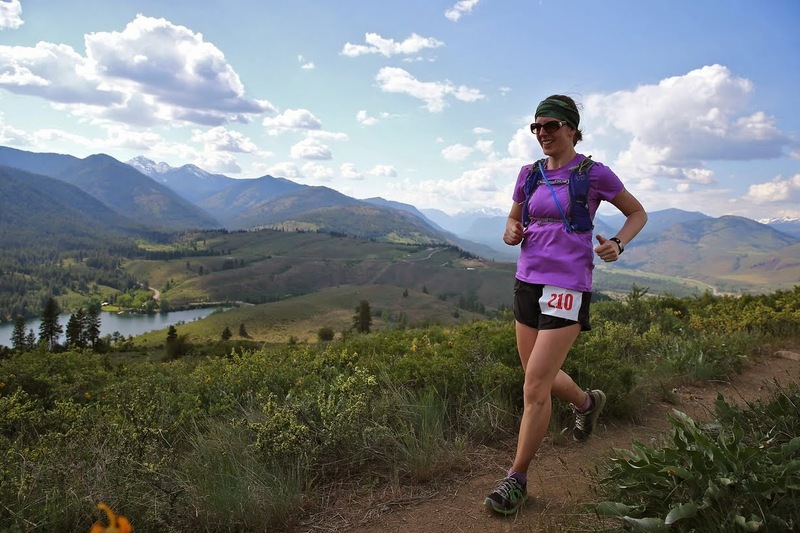 Fast forward to this past week, Stacey and I made a plan to run trails again. (Side note: so glad we won't wait another 2 1/2 years before we meet up again!) "How about Tiger Mountain?" she says. "Sure, sounds great!" I say. 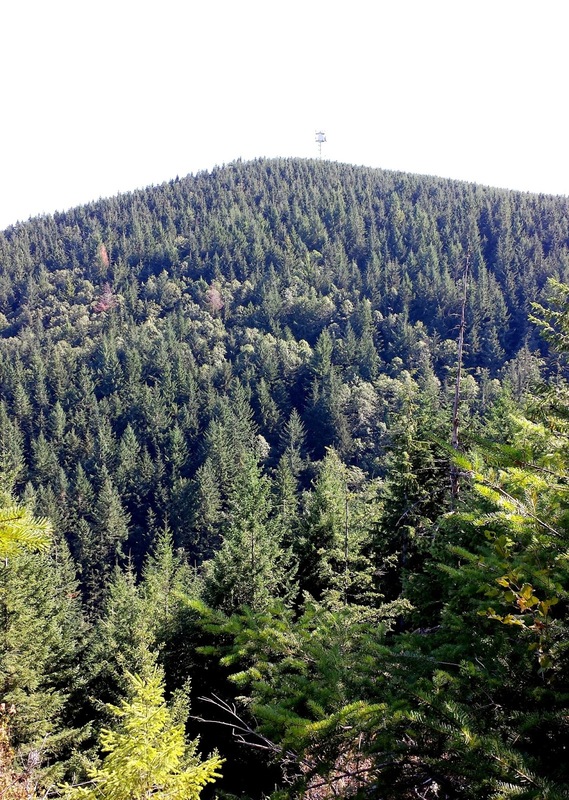 I met her at the High Point Trail Head, and we promptly headed straight up Tiger Mountain. 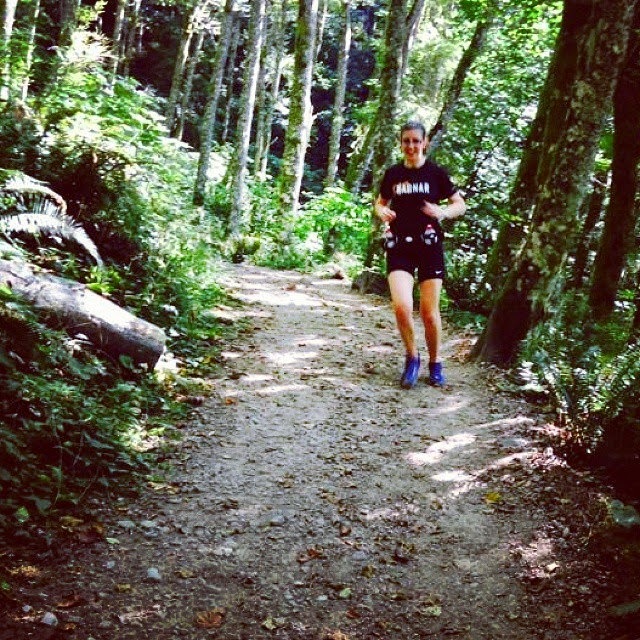 Now, I have run at Cougar Mountain several times. Never once has any of these runs involved actually running up a mountain, so I presumed the same would be true at Tiger. Nope, Stacey has evolved in to a badass trail-eating beast. She was ready for elevation, and what was I to do but follow along? So we ran, and hiked, up that mountain. First we reached the summit at West Tiger 3, then continued on to West Tiger 2. The only major bummer about the summit is that, because of the trees, there isn't a spectacular view to photograph, so there are no great photos of our accomplishment. And what is an epic run without an instagram photo?! Selfie at the top of West Tiger 3. Once we hit the half way point in our goal of running 10 miles total (more on this in a moment) we turned around and went back down. Well, down, then up a bunch, then finally, allllll the way back down. I honestly don't know what was harder for me, going up 2,200 feet or coming back down it. My quads stopped speaking to me about 1/4 of the way down. My side stitch turned in to an all over stitch about 1/2 way down. I won't lie, I sort of hated that part. BUT, I did it! And I likely grew about 50% stronger in the process! 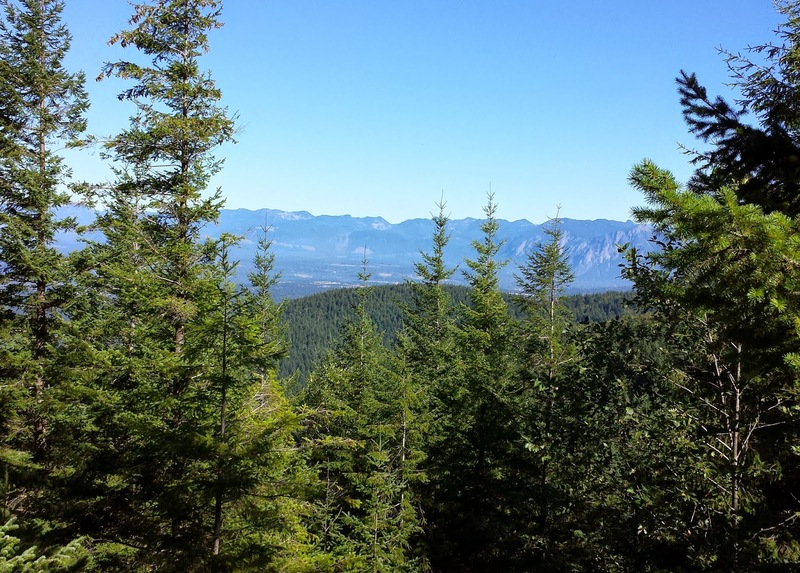 A bit of the view off to the east from West Tiger 3. A view of West Tiger 2 from West Tiger 3. As much as I complained to Stacey about all the VERT (that is a fancy trail running term for all of the upness) I did really love conquering this run with her. I would have never, ever, ever attempted to run/hike something like this on my own and appreciated her positive attitude and fun stories to keep me going when I pretty much didn't want to keep going. On the way down I told her to go on ahead, she was ready to bomb down the side of the mountain while I was gingerly tip-toeing my way over every rock. Since she was waiting for me at the bottom I had to keep going even when I wanted to lay down and take a nap. Tiger Mountain is huge, and the 10 miles we ran was such a small chunk of it, I am actually looking forward to going back and seeing more. So, about those 10 miles . . . Stacey and I started our Garmins four minutes apart (hers 4 mins before mine). When we finished our run her Garmin read a full mile more than mine (hers 10, mine 9). My Garmin said we finished the run in 2:32:39. Once I looked at my information on Garmin Connect I discovered some odd things (like it says it took 23 minutes to run mile 6, which is straight downhill-- I wasn't going THAT slow!) Anyways, not a big deal at all, just interesting. I haven't had any major issues with my Garmin before so I'm mostly just hoping this isn't the death of it! 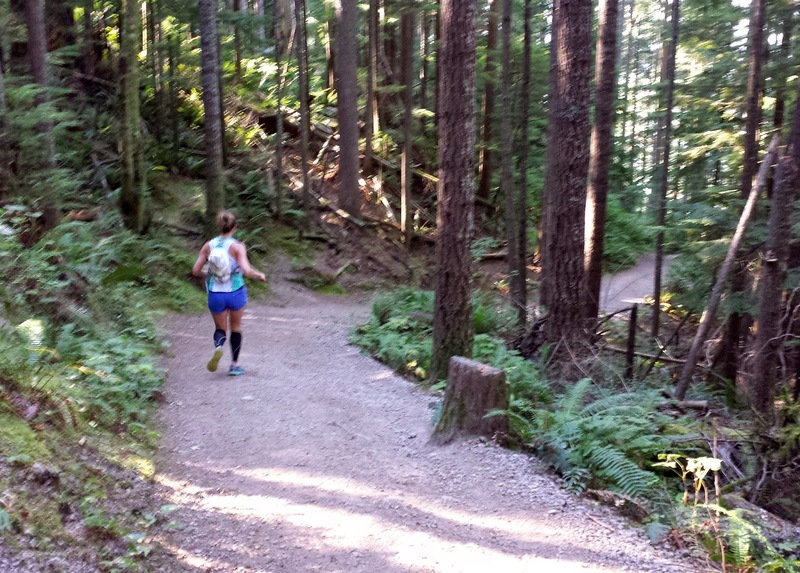 Have you ever run at Tiger Mountain before? Any favorite trails?